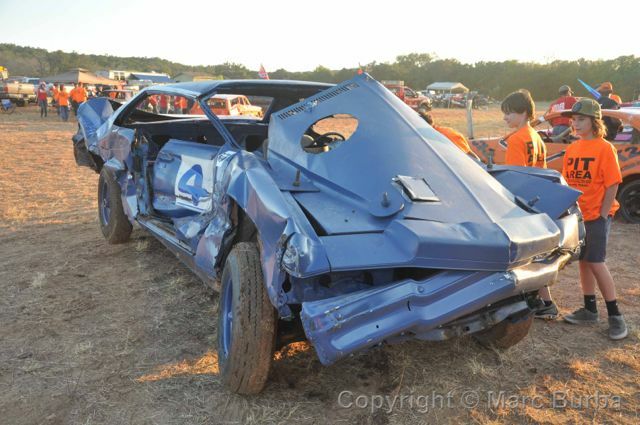 The website for the Spicewood, Texas, Volunteer Fire Department and EMS. 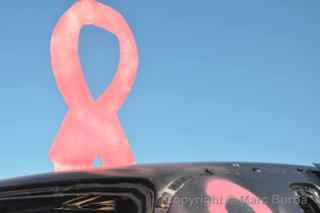 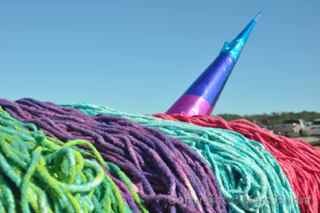 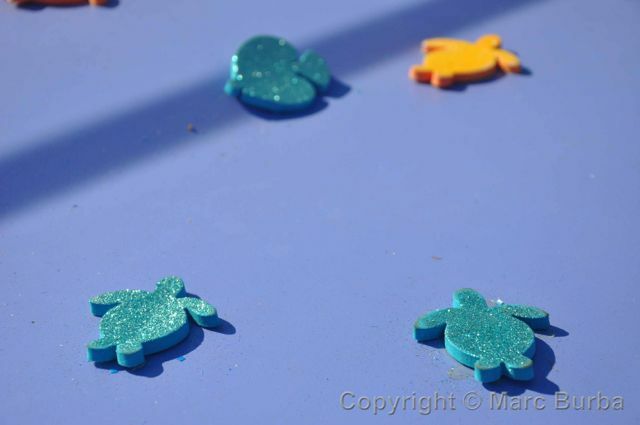 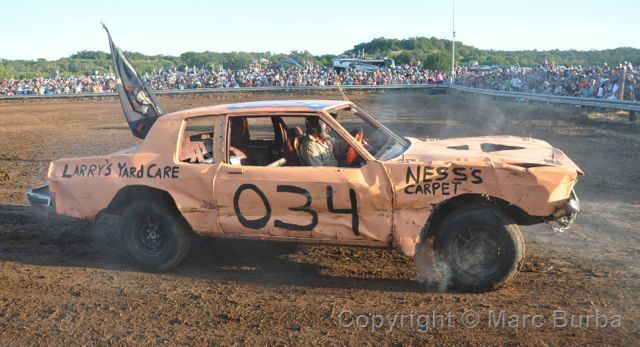 Check it to learn more about next years derby. 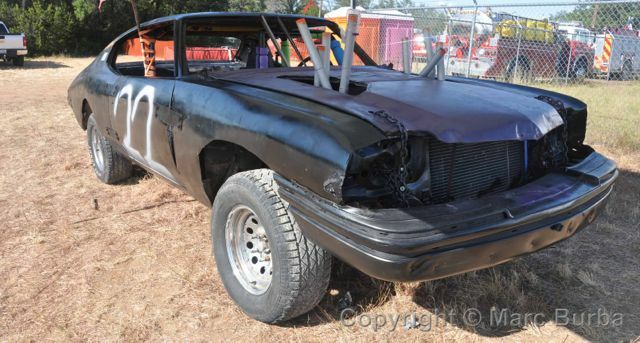 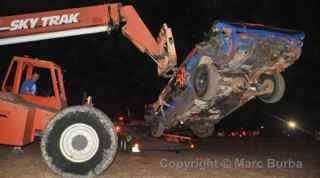 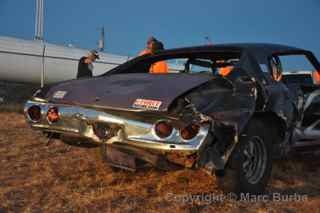 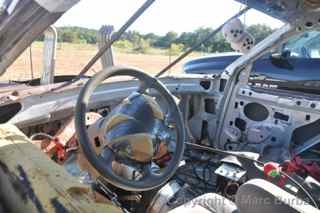 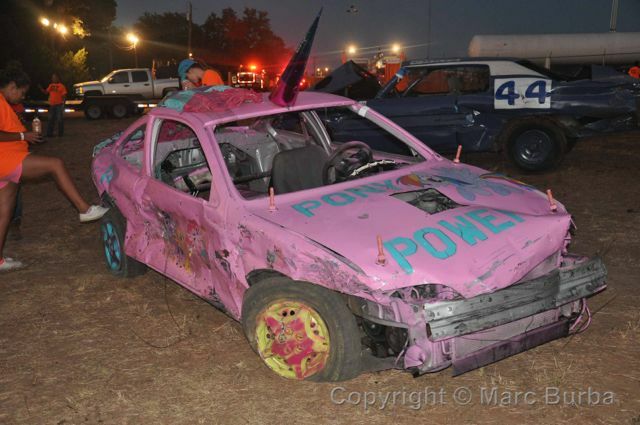 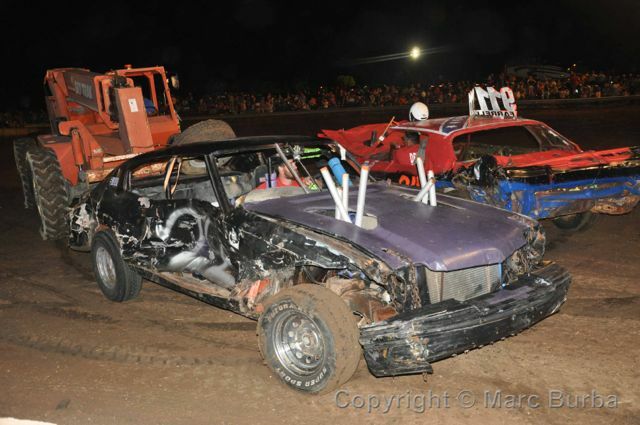 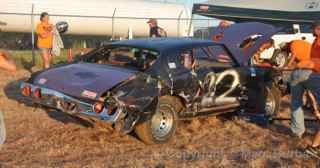 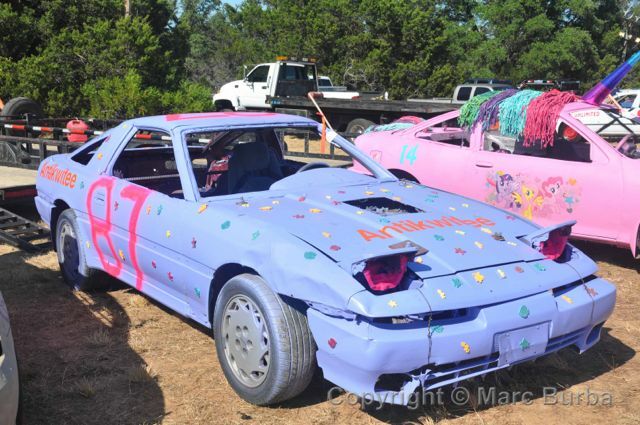 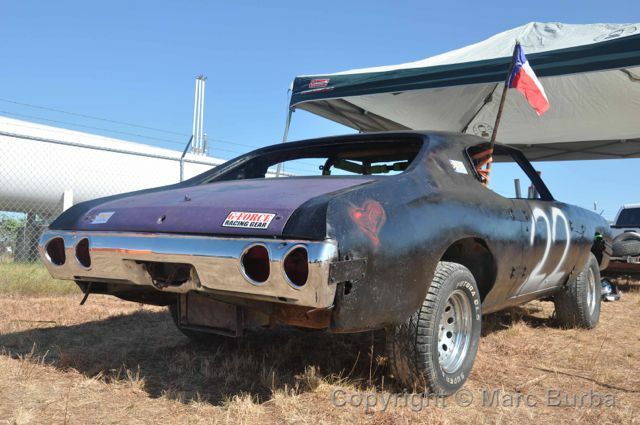 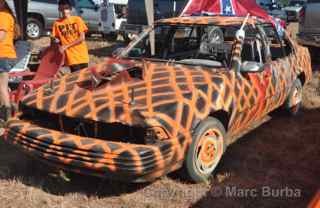 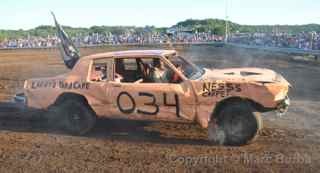 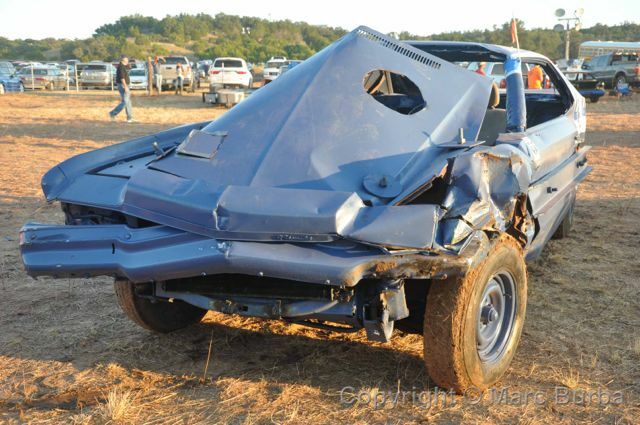 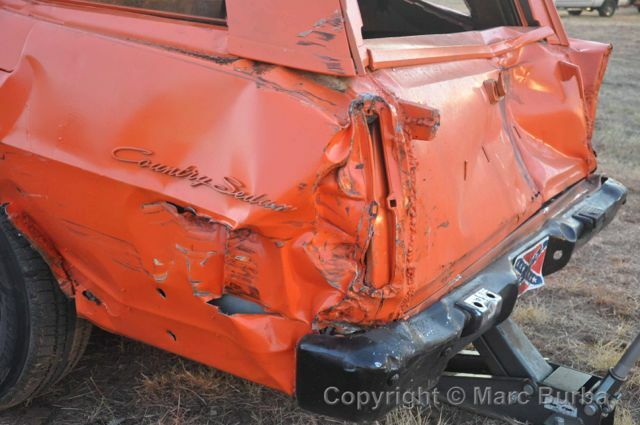 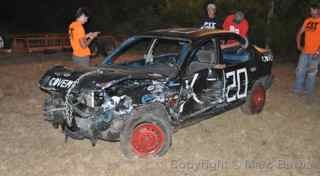 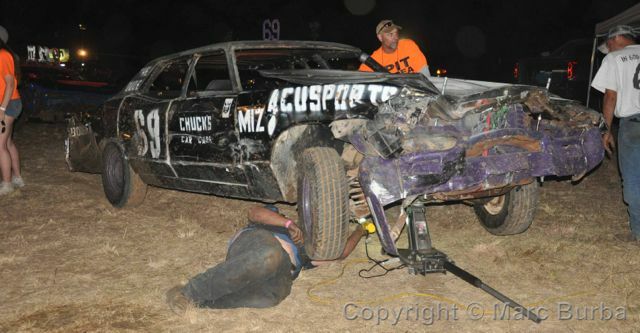 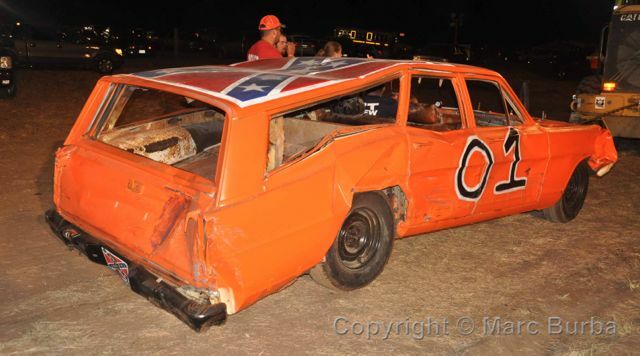 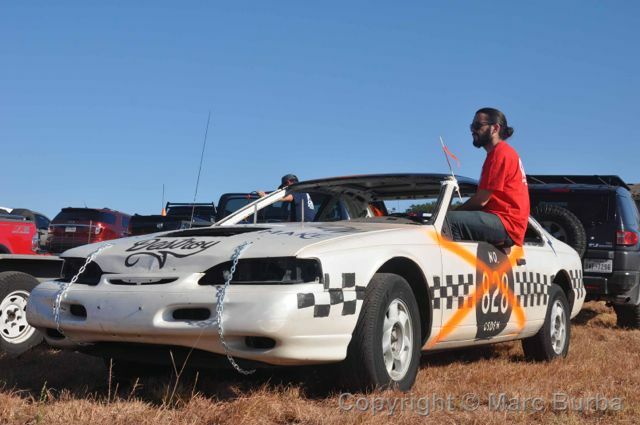 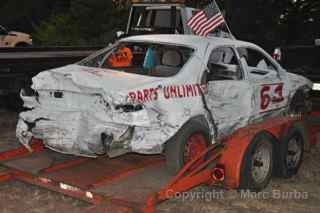 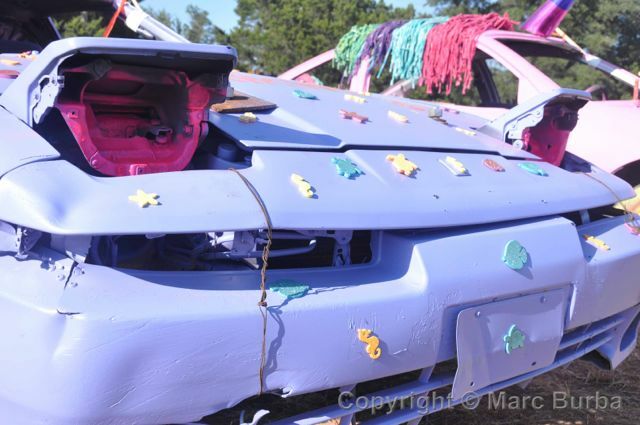 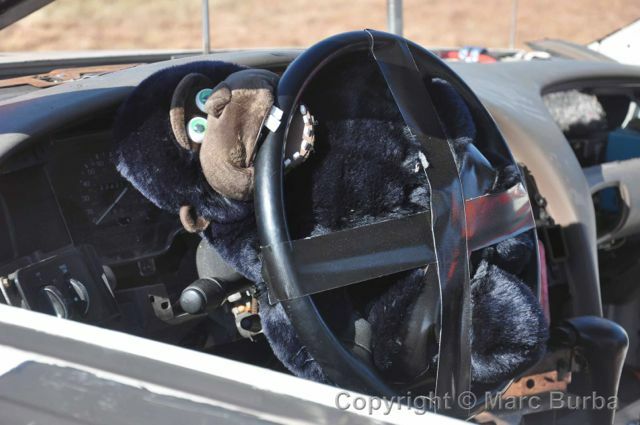 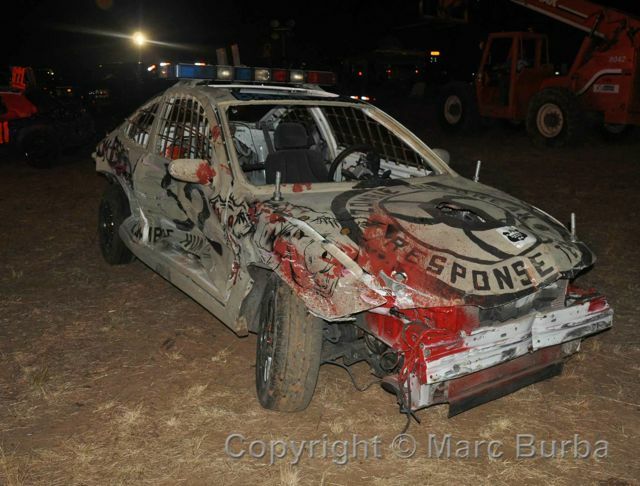 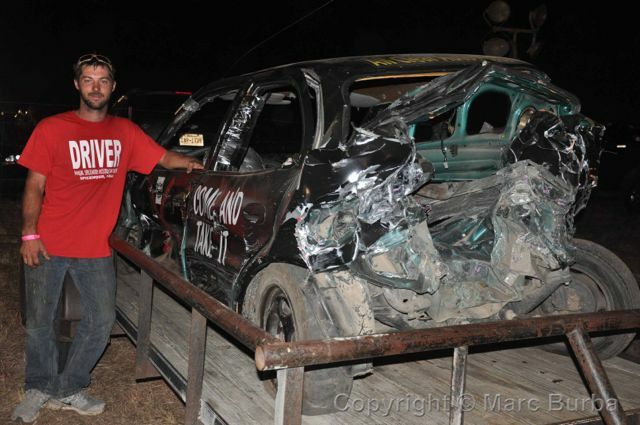 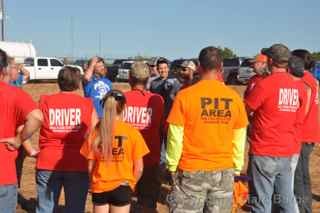 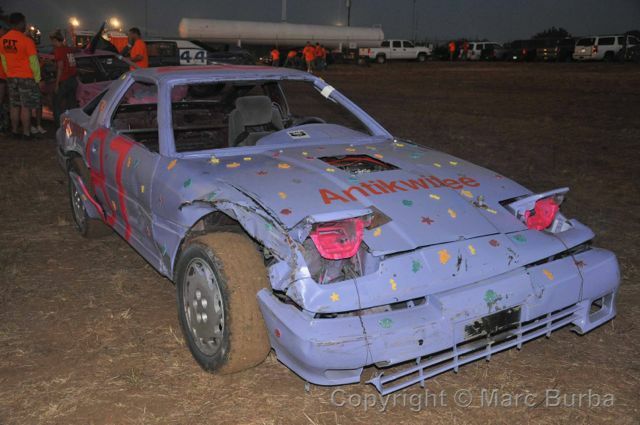 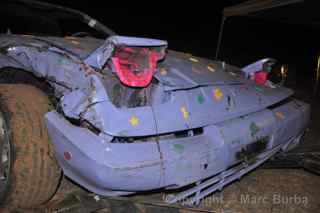 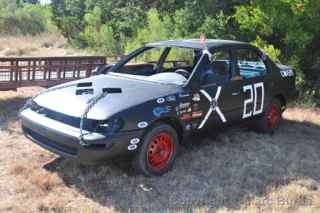 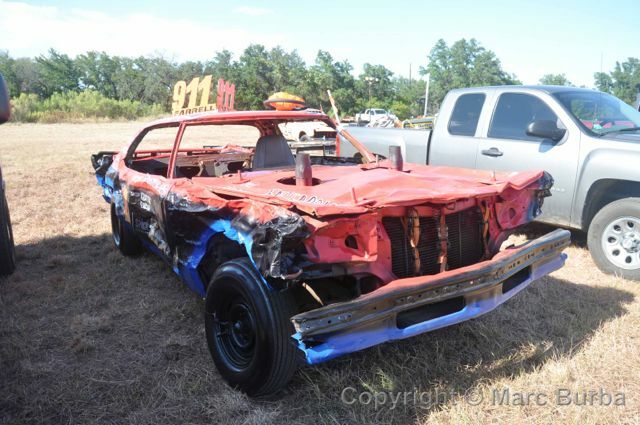 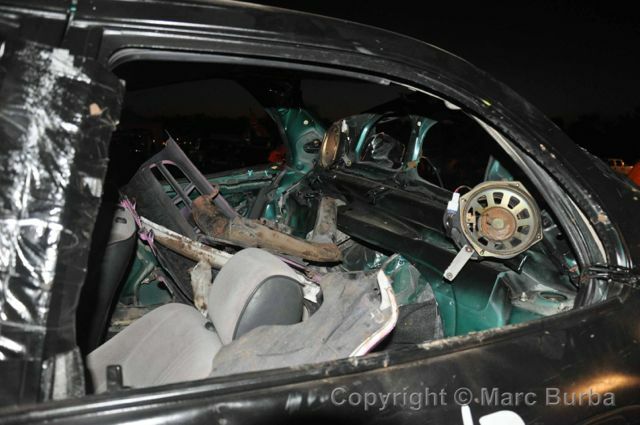 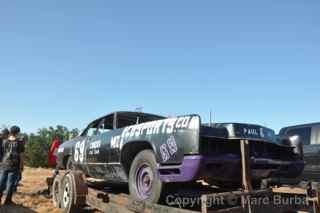 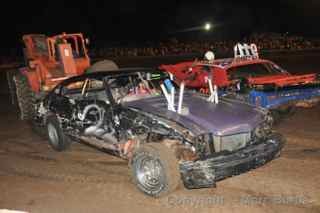 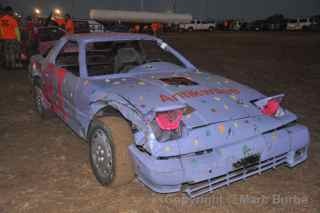 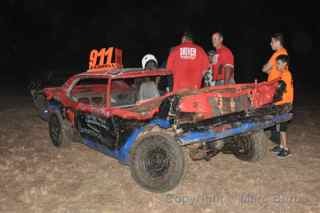 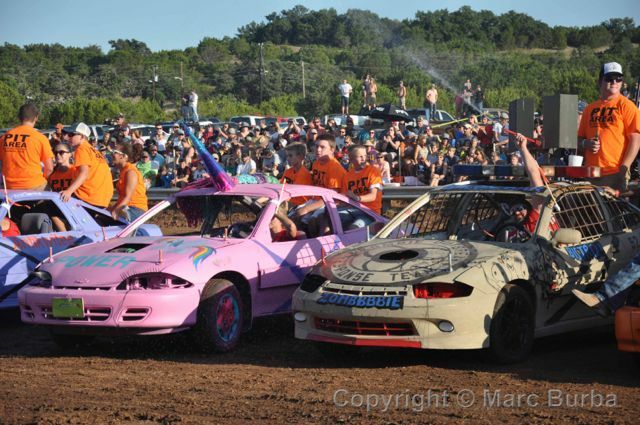 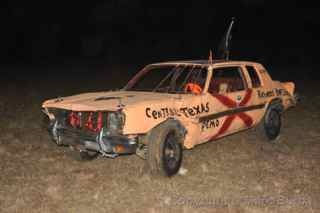 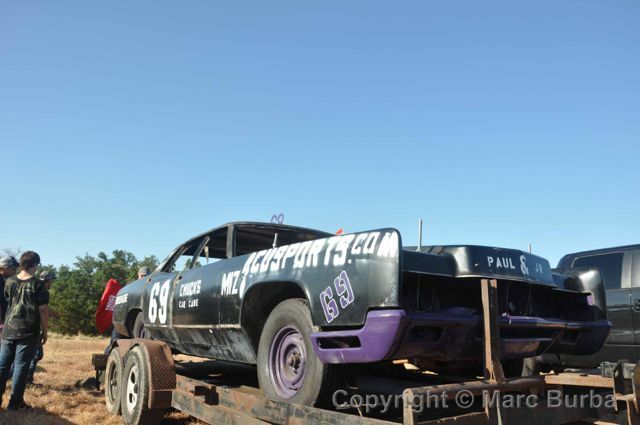 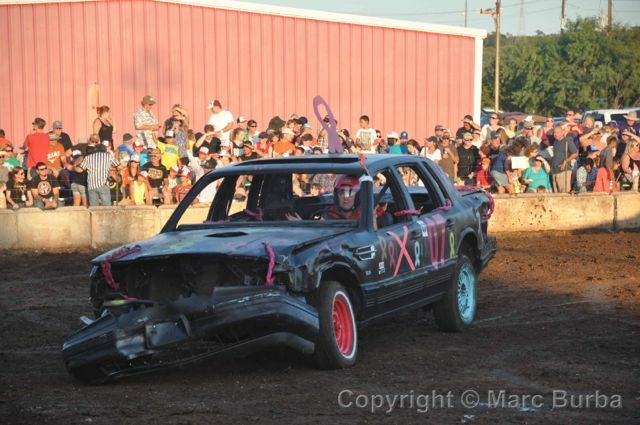 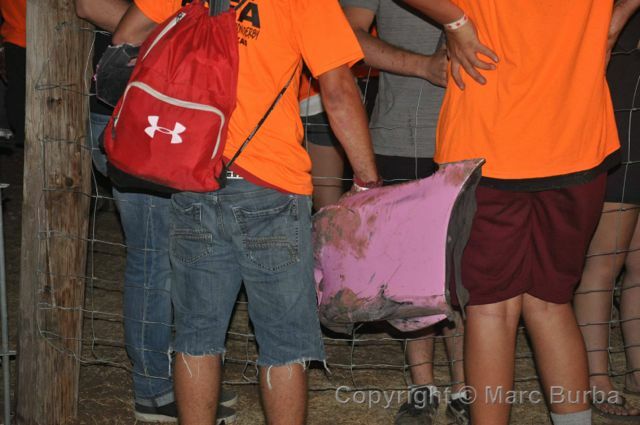 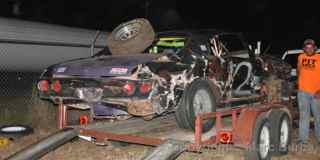 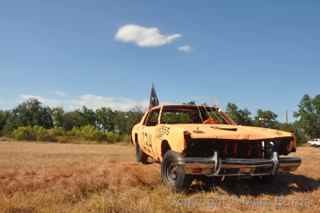 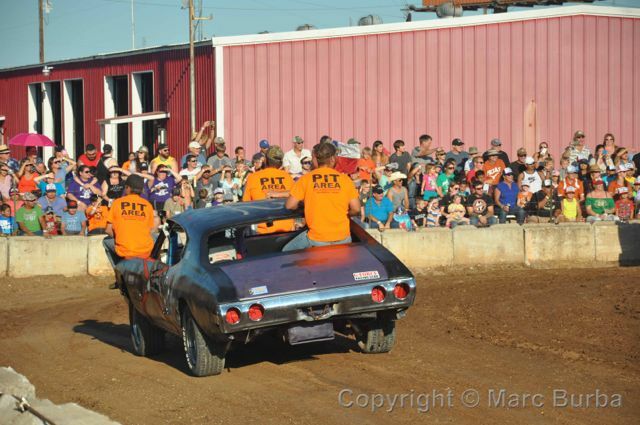 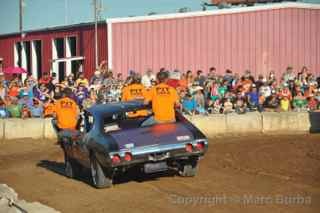 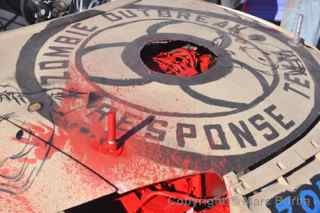 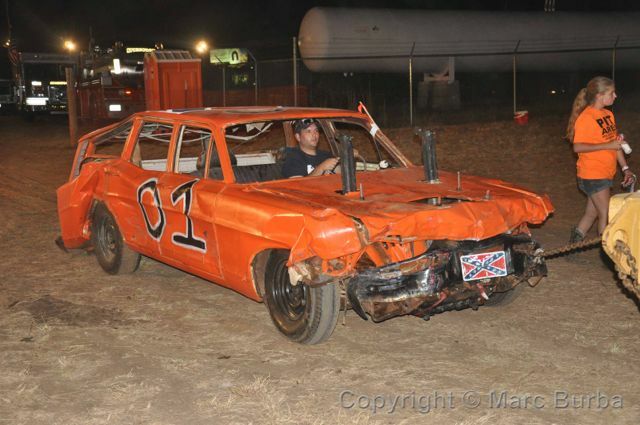 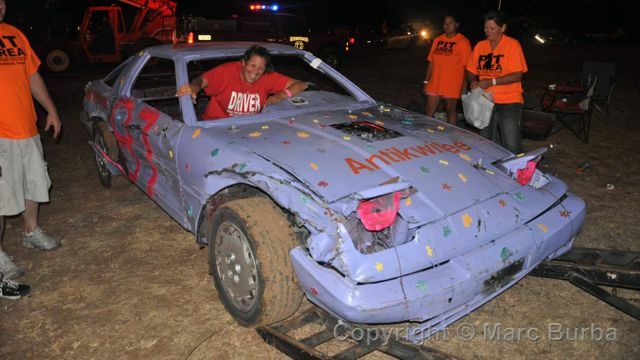 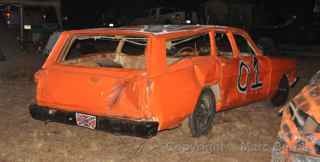 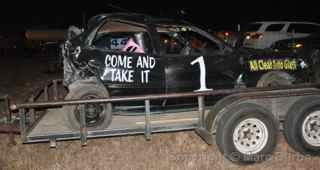 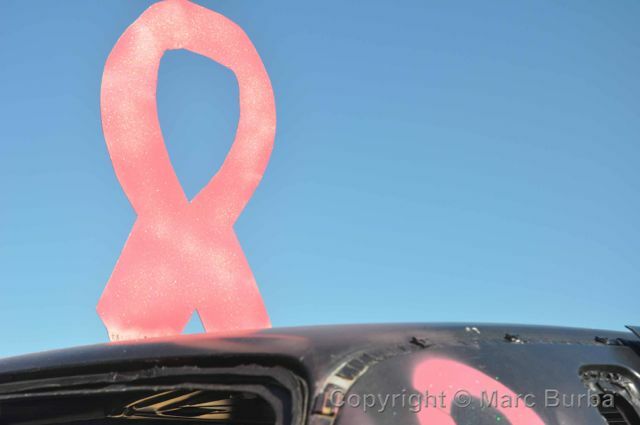 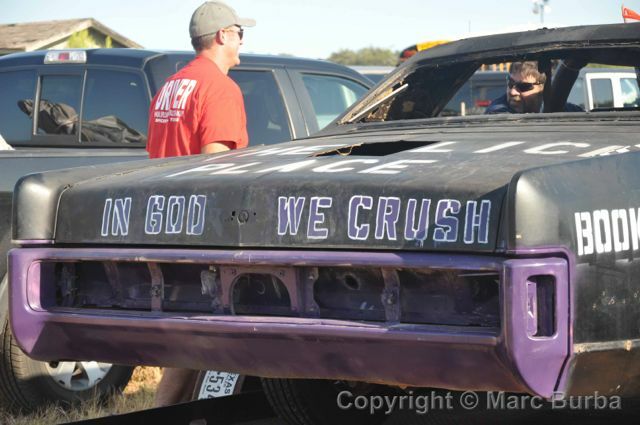 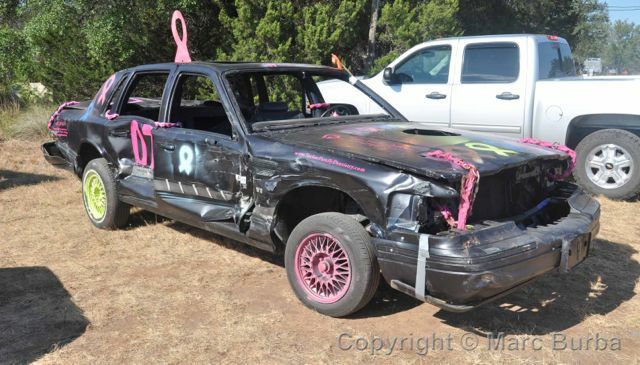 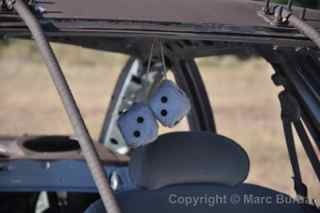 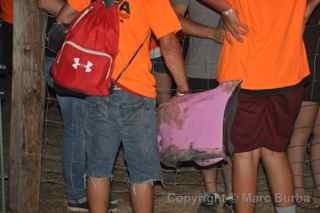 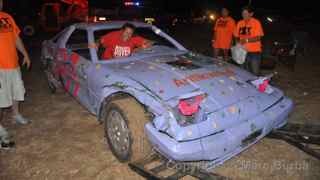 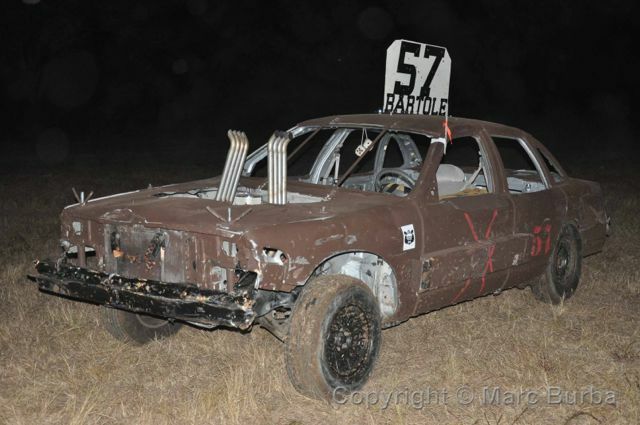 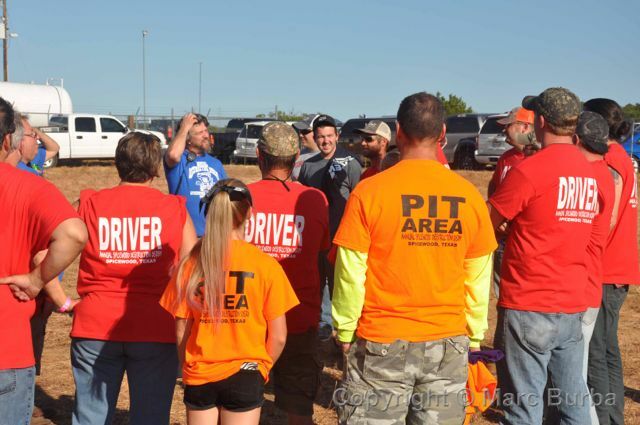 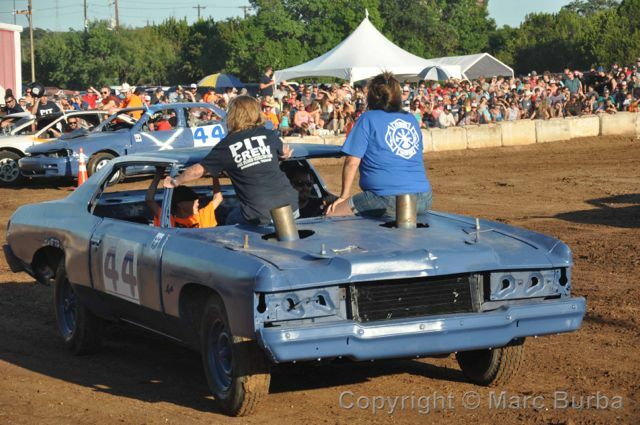 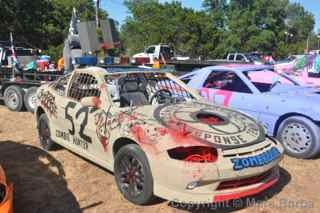 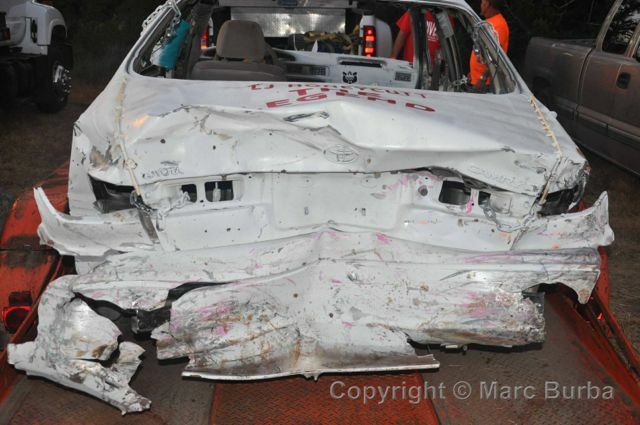 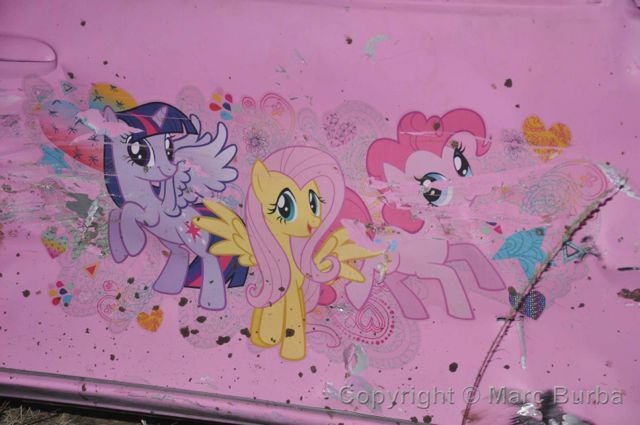 What have we learned from this years demolition derby? 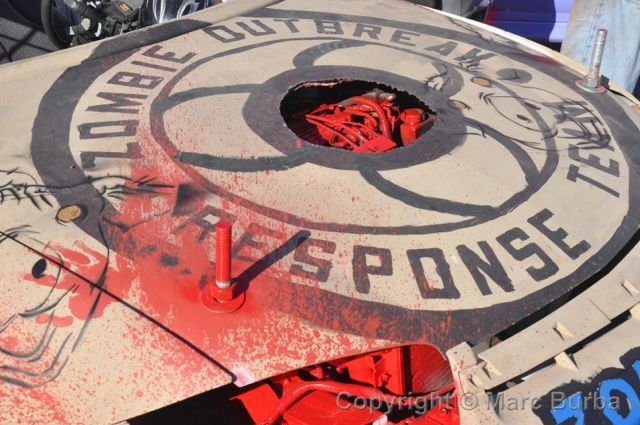  To survive the zombie apocalypse, a Chevy Cavalier maybe isnt the best choice.  Even the prettiest of cars can run into trouble. 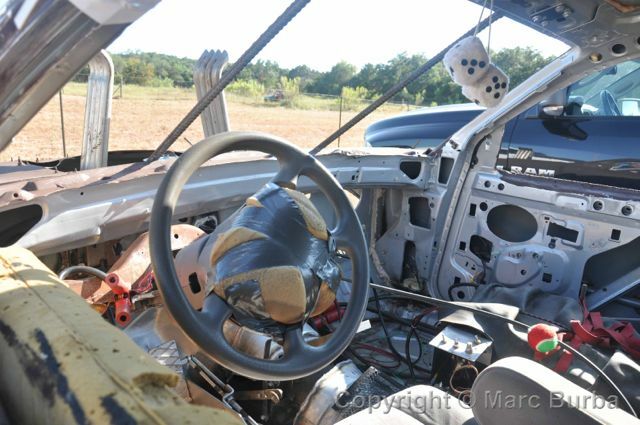  The amount of time spent prepping a car is not directly proportional to how long it will last. 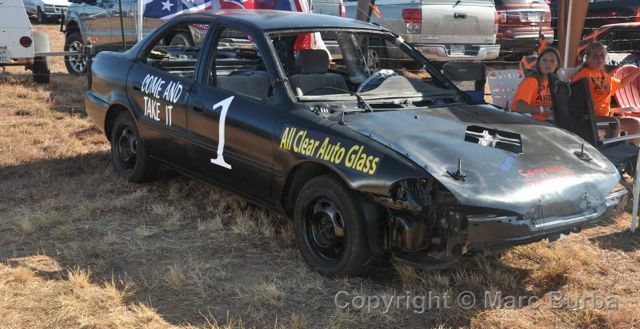  Never underestimate a sleeper  especially if its a Toyota. 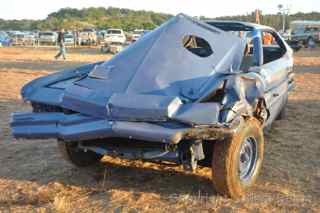  Compact cars are TOUGH. 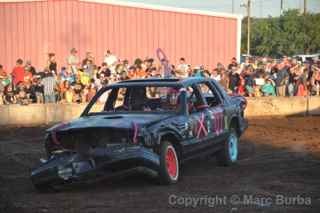 That heat alone lasted more than 20 minutes. 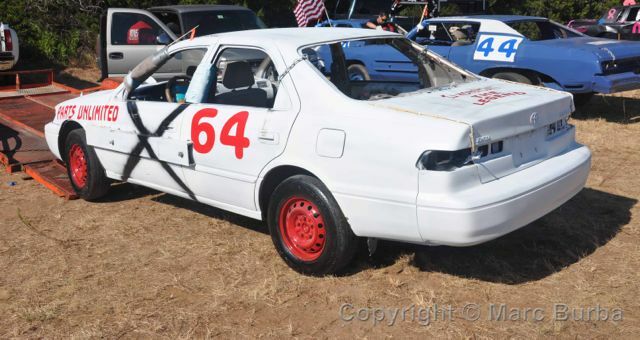  YouTube only allows me to post a 15-minute max video (sorry folks, I had to edit it down). 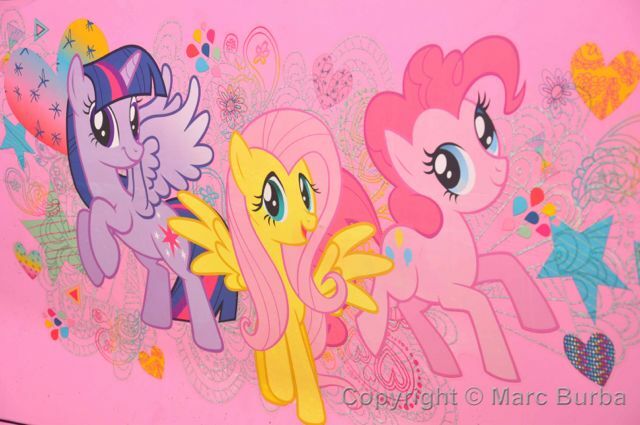 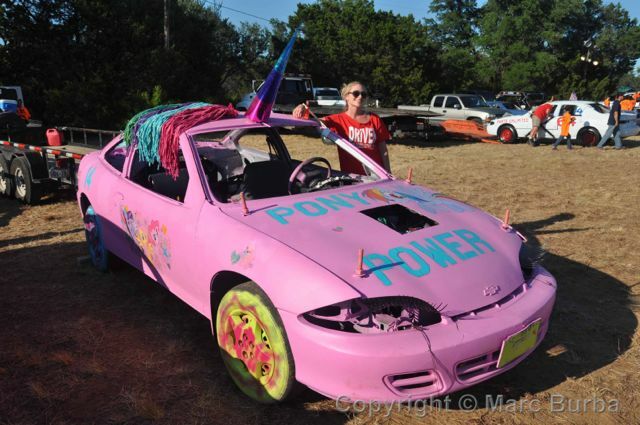 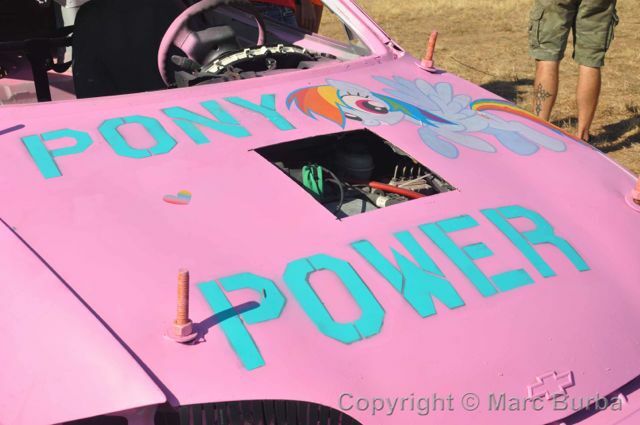 Toward the end of the marathon 9-car compact heat, the audience choices for best-looking cars  a tie between a My Little Pony Chevy Cavalier driven by Stephanie Conner and a Zombie Outbreak Response Team vehicle driven by L.D. 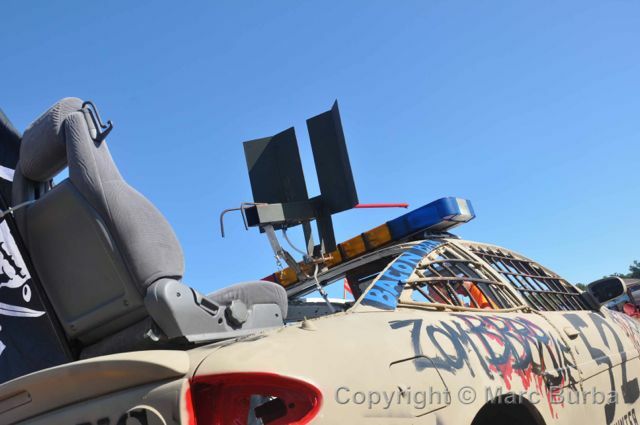 Rossesetter that originally came complete with a water-gun turret  had been knocked out. 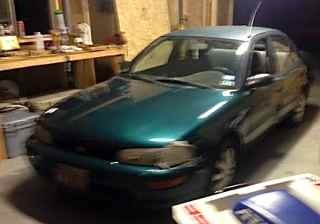 It came down to Collin Chalmers in a basic black 1993 Toyota Corolla, Cody Williamson in a basic black 1995 Geo Prizm (a U.S. version of a Toyota model) that he only had for five days, and Wendell Ubernosky in a basic white Toyota Camry. 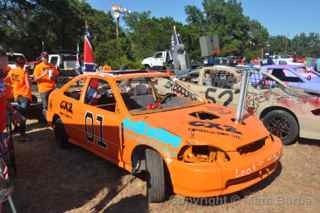 After Collins car died, Wendell and Cody continued to pummel each other until Codys car could no longer move, and he was forced to break his flag. 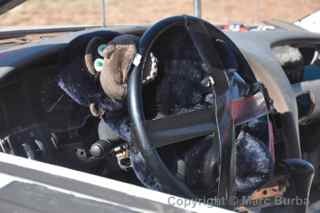 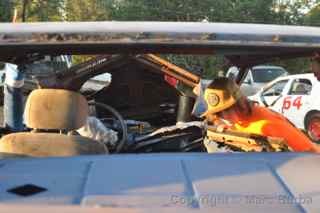 By that time, the old Geos trunk compartment had compacted into the interior, and the drivers seat back had broken. Wendells Camry was running on a rim. 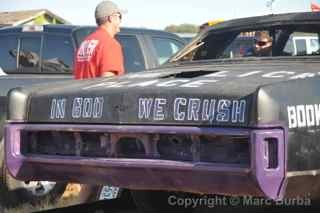 The (shorter) video of the full-size championship heat is below. 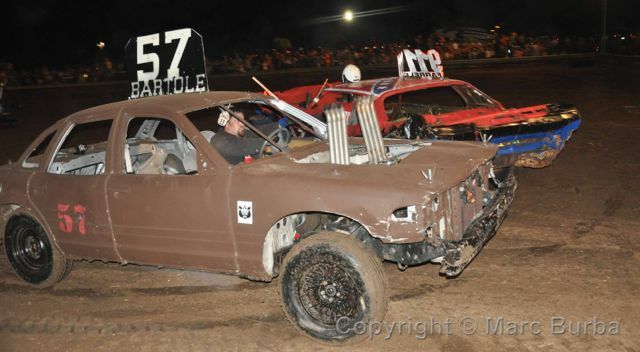 Joe Bartole, in a Ford Crown Vic, narrowly bested 2014 winner Tommy Farrell, who brought back his champion Impala for a return appearance with a new paint job. 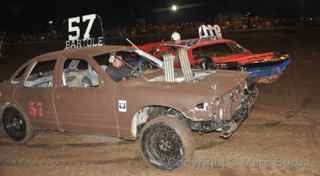 See videos of the other 2015 heats here.